MADISON, WISCONSIN, June 18, 2018 — StreamText, text streaming service provider, shares their application, StreamCast, has quickly become a powerful tool for captioners. An innovative tool for captioners, StreamCast, is designed to allow captions to be provided over programs without native captioning integrated. With StreamCast, captioners and CART providers can now include captions on a number of applications. From overlaying a presentation with live captions to providing open captions for Facebook Live, StreamCast makes it easy for your event to be accessible. 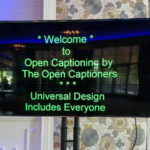 Recognizing the difficulty of providing captions based on presentation applications, StreamText designed StreamCast as a universal solution. The application works as an overlay on the program being used. StreamCast can provide captions over PowerPoints and videos. Font sizes, colors, and spacing can also be customized within the application to fit the user’s presentation and captioning style. Currently, StreamCast supports Windows and Mac operating systems with plans to expand to Linux in the near future. 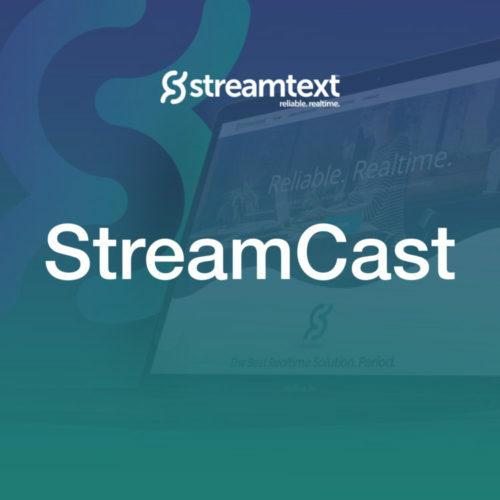 StreamCast is a free application that can be downloaded from the StreamText website. ABOUT STREAMTEXT: StreamText was founded in 2003 by Anson Goldade to service the growing market and need for accessibility and text streaming services. The realtime streaming text service is utilized to provide accessibility for the deaf and hard of hearing. StreamText provides services primarily for CART service providers but has expanded to other services such as web captioning, conferences, legal proceedings and Adobe Connect Pro meetings. The StreamText technology aims to provide a high-value solution to accessibility at a low cost to audiences. For more information about the StreamCast app, visit this article.